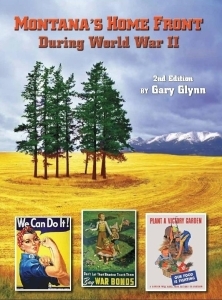 Take a look inside the book Montana’s Home Front During World War II. 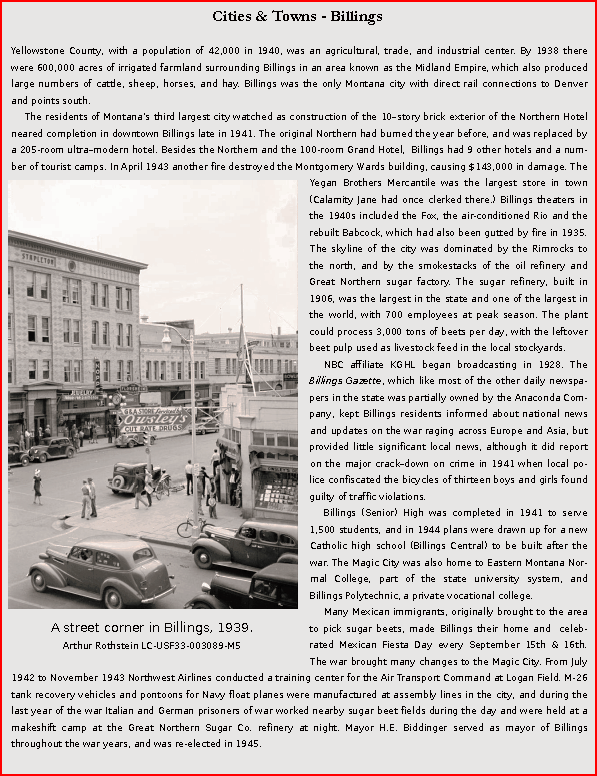 Presented below are a few sample pages typical of the book’s content, including pages on the history of Billings during the 1940s. 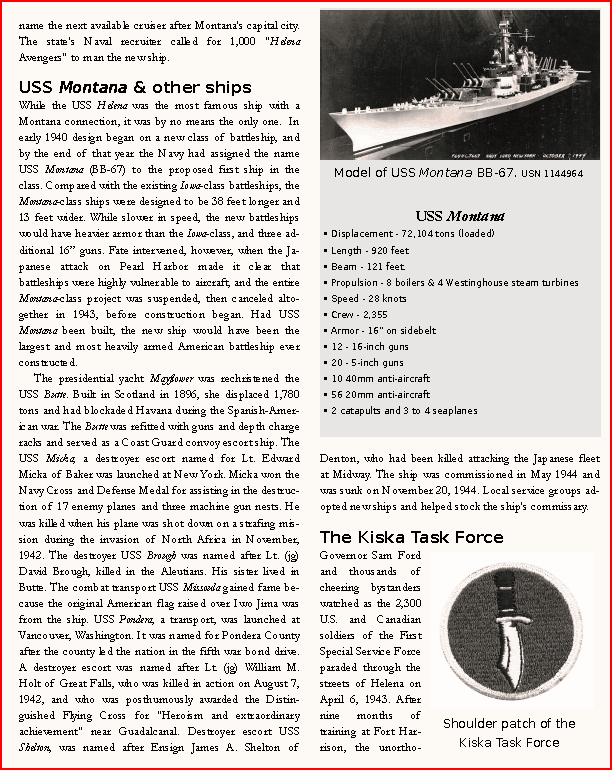 Also included is a page on the design of the battleship USS Montana (which was never built), and information on other ships (Liberty ships, Victory ships, and warships) with a Montana connection. 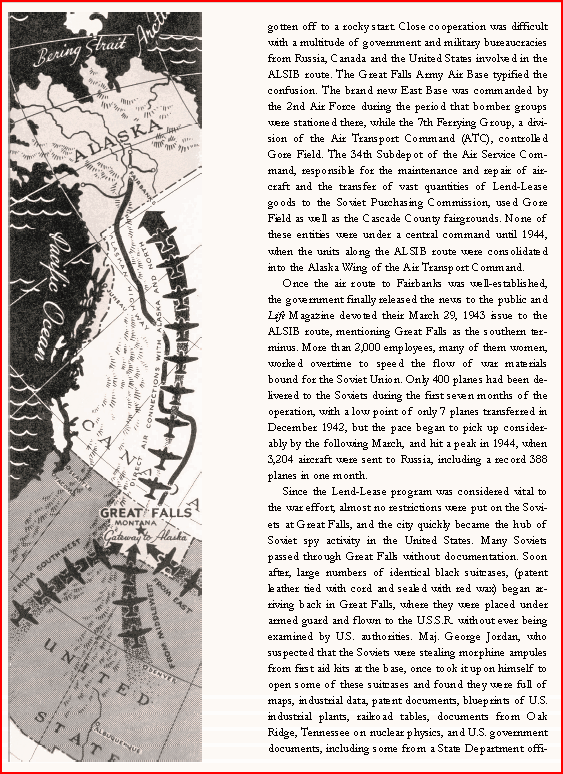 Another page shows a map of the ALSIB air route from Great Falls to Siberia, along which thousands of warplanes were ferried to the Soviet Union. 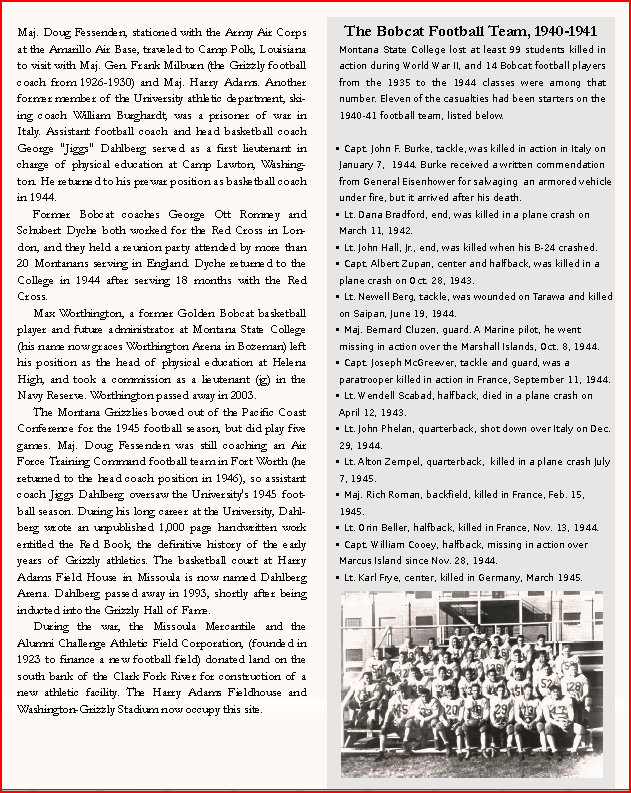 The third page details the tragic story of the eleven Montana State University football players who died during the war, the worst casualty rate among any American collegiate football team. The USS Montana was designed as a new class of battleship, and if it had been built it would have been the largest and most heavily armed US battleship. Due to the need for more aircraft carriers and the decline in importance of battleships, proposed construction of the Montana was cancelled in 1943. Montana State College in Bozeman lost nearly every member of the 1941 football team during the war.